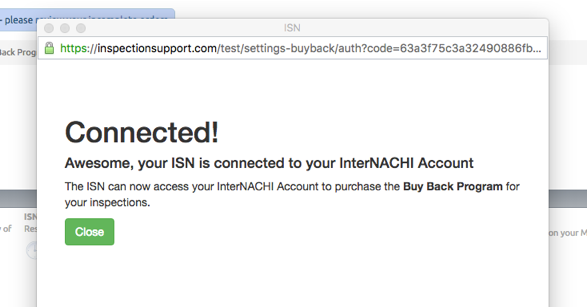 The ISN supports direct integration with InterNACHI's Buy-Back Guarantee. First, click Settings and then to Office Settings in your menu. 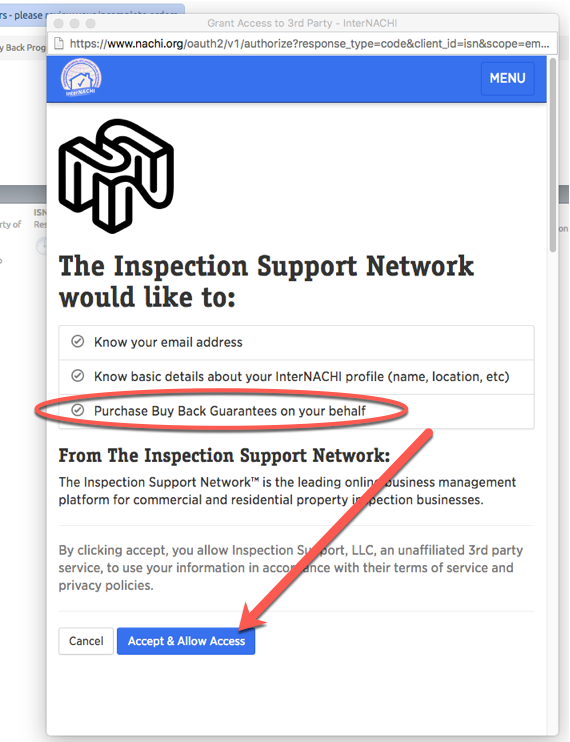 Click on the InterNACHI Buy Back button in the bottom left of your page. 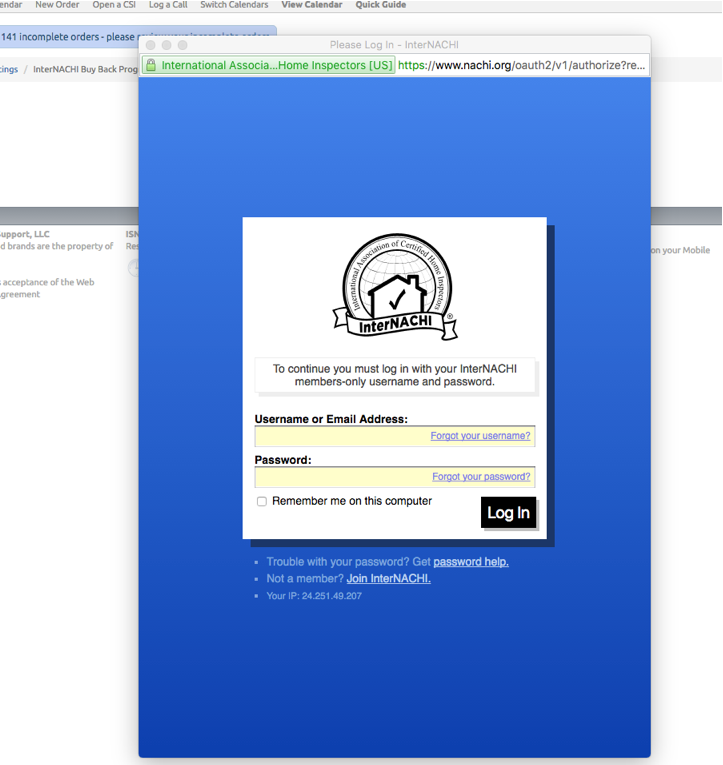 Next, you'll need to login with InterNACHI, this will be your InterNACHI username and password. 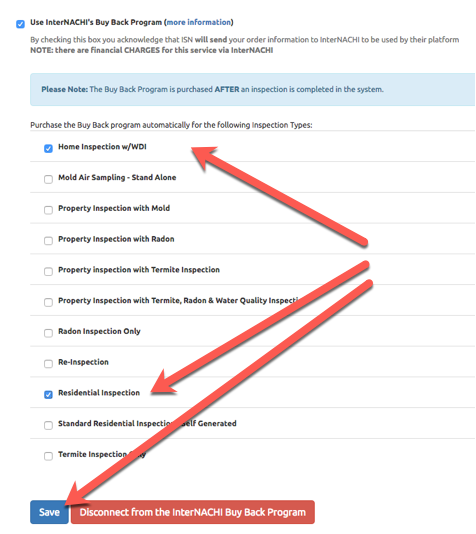 The ISN system will send the request for the Buy Back after you upload your inspection report for every inspection in the types you selected. 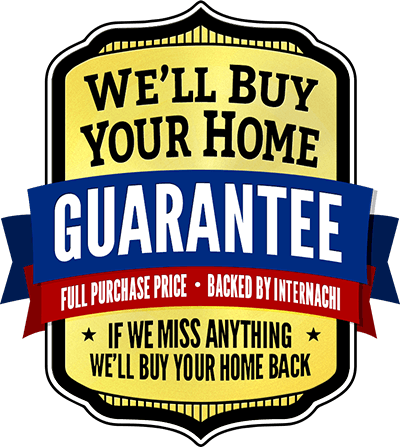 Thus, for the Buy Back system to work you must either upload an inspection report or complete the inspection without a report. For more information this see this article on uploading an inspection report. You'll see them selected in the order grid after they are purchased from InterNACHI.